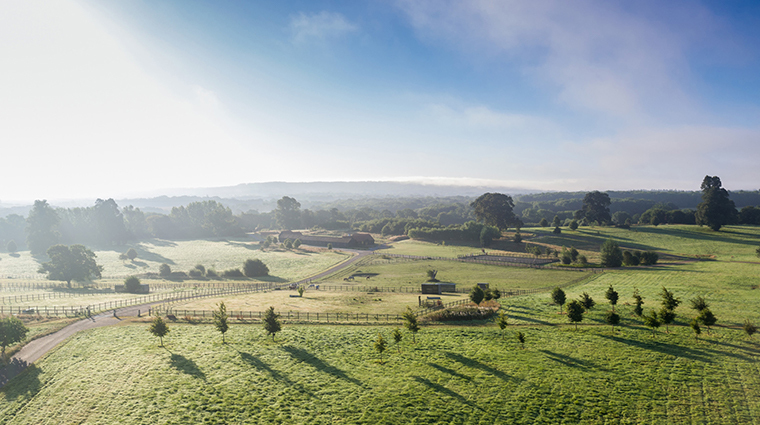 Escape to the English countryside with Four Seasons Hotel Hampshire’s Family Moments offer. 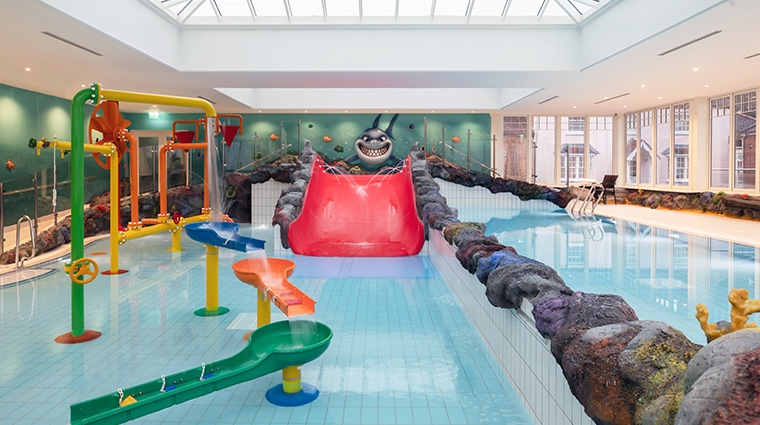 Book a fun-filled getaway for your brood at the Forbes Travel Guide Four-Star retreat and receive 50 percent off a second room for the kiddos, gratis meals for little ones under 10 and a slew of pint-sized perks, like a swimming lesson at the newly opened Sharkie’s Reef (a family-friendly indoor pool equipped with a 13-foot waterslide) and 30 minutes on the property’s rope course. Offer does not apply to arrivals or stays taking place Friday, Saturday or Sunday. Subject to availability. Only available in Garden and Heritage connecting rooms. Two-night minimum stay required. 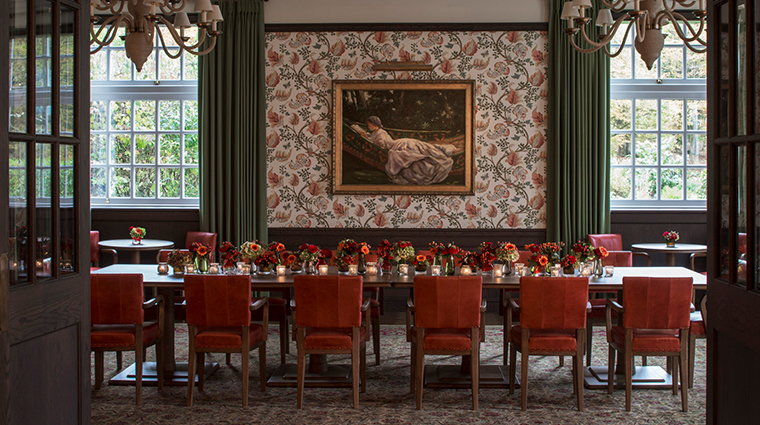 England’s bucolic countryside is dotted with charming cottages and elegant manor houses, but Four Seasons Hotel Hampshire is where you’ll want to stay. About an hour southwest of London, the 18th-century Georgian-style structure sits in Dogmersfield Park, which is no stranger to famous faces — it was here that Henry VIII first met Catherine of Aragon, the first of his six wives. 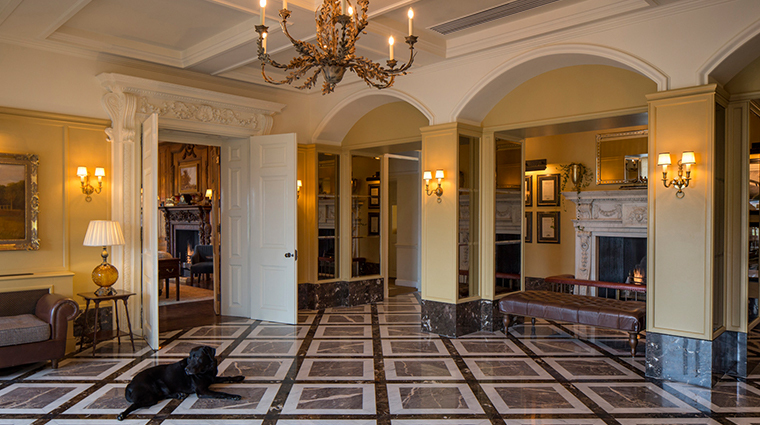 Historic tidbits aside, the luxurious manor house boasts all of the proper modern comforts, too, including an indoor conservatory lap pool and year-round tennis courts. 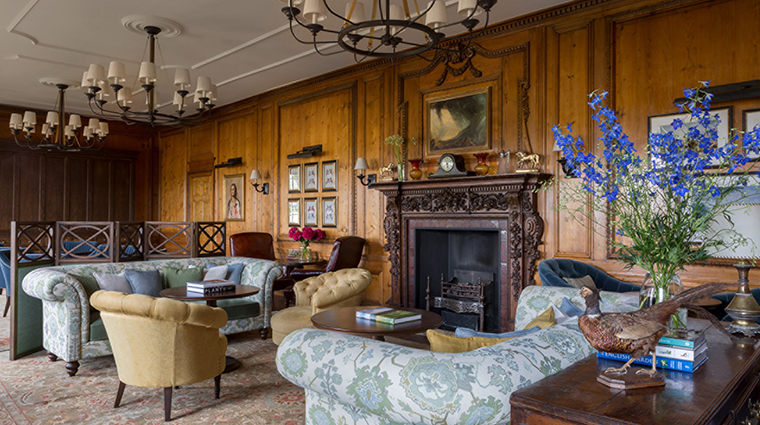 Rooms and suites feel undoubtedly English, peppered with soothing floral patterns and neutral tones, wood furniture and idyllic views of the grounds and gardens. The shining star of the luxury hotel is its 500 acres, allowing for ample outdoor activities that are only possible with this amount of land. 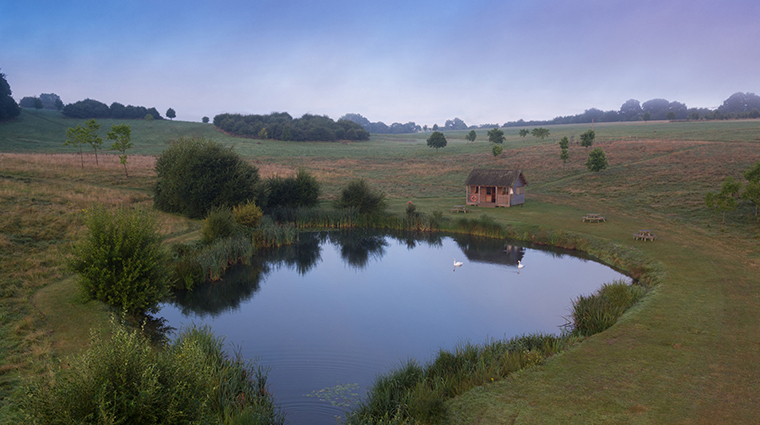 Spend the morning on the Basingstoke Canal (which runs through the grounds) aboard the hotel’s custom-built boat, and take time in the afternoon to go horseback riding, fish on Belvedere Pond, get a falconry lesson or play croquet on the lawn. 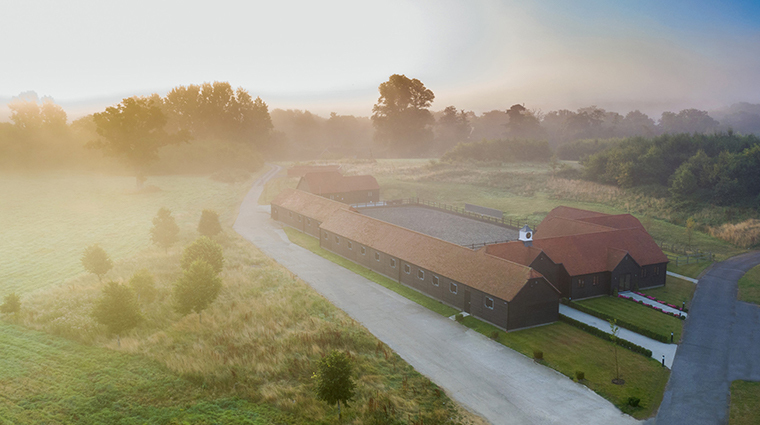 While there’s plenty to keep you active, you’d be remiss not to pay a visit to the onsite spa as well, located inside the hotel’s 18th-century stable block, or cozy up to the stylish Library's crackling fireplace, overlooking the rolling Hampshire hills. 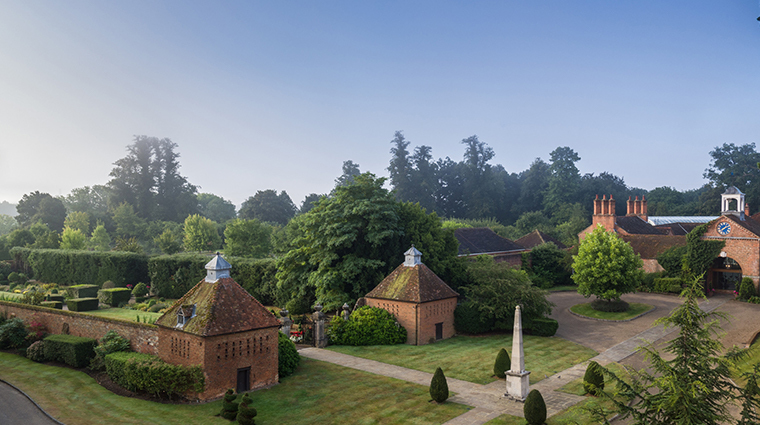 As well as being surrounded by a vast estate, Four Seasons is also home to a perfectly manicured walled garden dating back to the 17th century — a very English form of Zen. 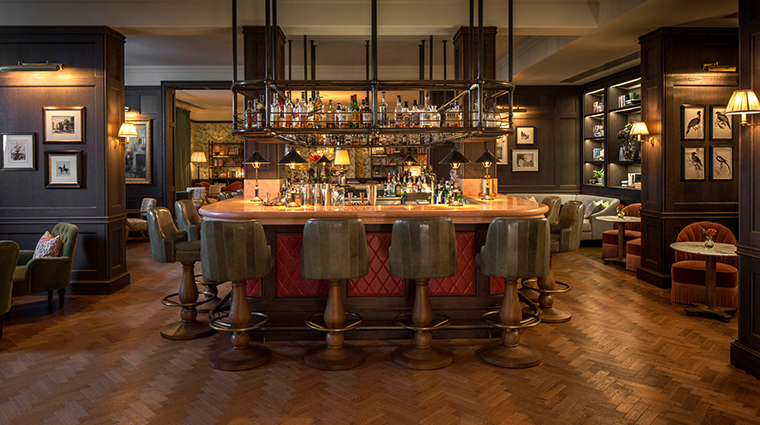 The Hampshire hotel may be steeped in history, but its newest addition promises fun for kids of all ages. Debuted in November 2018, Sharkie's Reef is an indoor family-friendly pool designed by Disney and Warner Brothers sculptor Justin Pook, complete with a 13-foot waterslide, bubble jets and a rotating umbrella fountain. Every child who stays in the hotel receives a personalized invitation to join Kids For All Seasons — a program that runs every Saturday and Sunday throughout the year, as well as school breaks and holidays. This complimentary service includes a wealth of fun kids activities, such as games, crafts, kite-flying, soccer, Frisbee, movie-watching, treasure hunts and even tours of the stables and equestrian center. 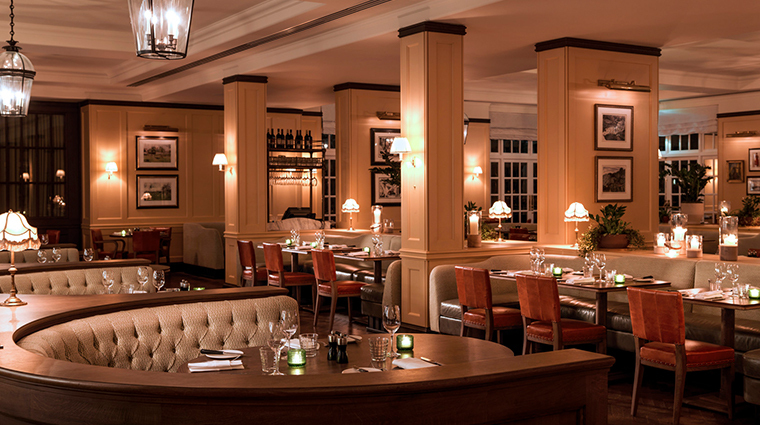 If you’re hungry any time in between — or in the middle of the night — simply order from the Hampshire hotel’s extensive 24-hour room service menu. For a late-night indulgence, we highly recommend the wild mushroom and truffle risotto topped with gooey Brillat Savarin cheese. Thrill seekers can enjoy the Highwire Adventure, the tree-top challenge for adults and children alike, which includes a high and low rope course, an exhilarating zip line and the 'Power Fan', the ultimate free-fall experience. 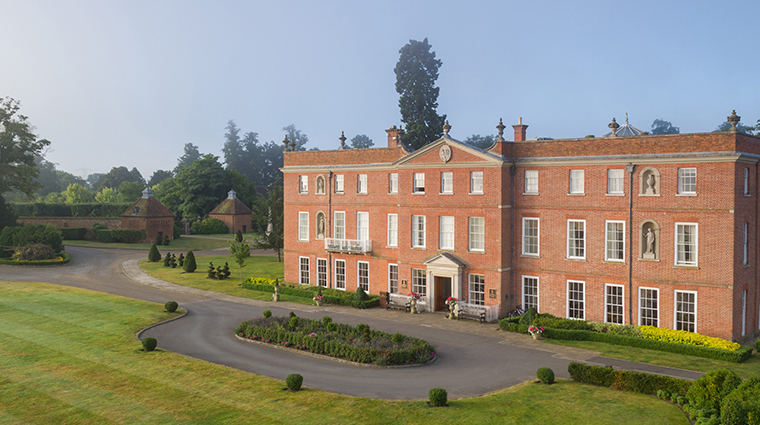 The rural nature of Four Seasons Hotel Hampshire means that it can be a bit of a trek to the capital, unless you have your own car. 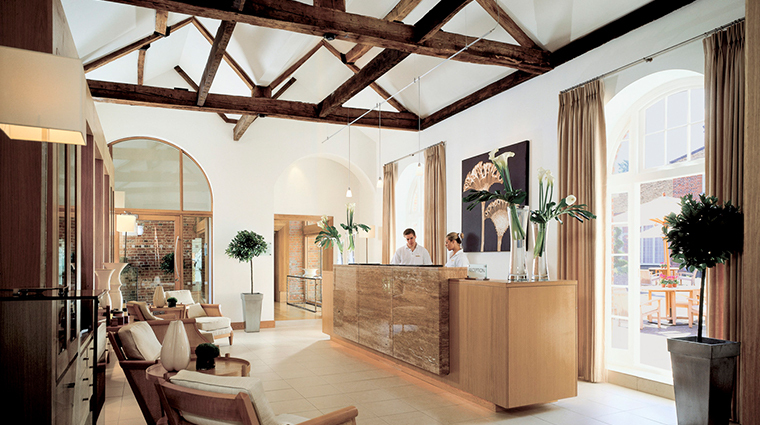 While the countryside hotel offers a limousine service to shuttle you around the Home Counties, a less flashy option, whether coming from the airport or from London, is to make your way to Fleet train station, which connects to two mainline London stations: London Waterloo and Clapham Junction. The bath products available in the rooms at Four Seasons Hotel Hampshire are renowned British beauty brand Asprey, ensuring an incredibly luxurious bath-time experiences. 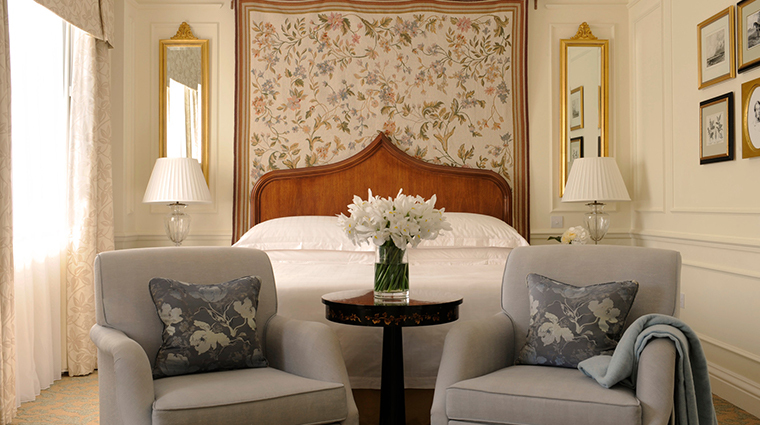 The Four-Star hotel is home to 133 guest rooms, including 22 suites, all of different shapes and sizes. 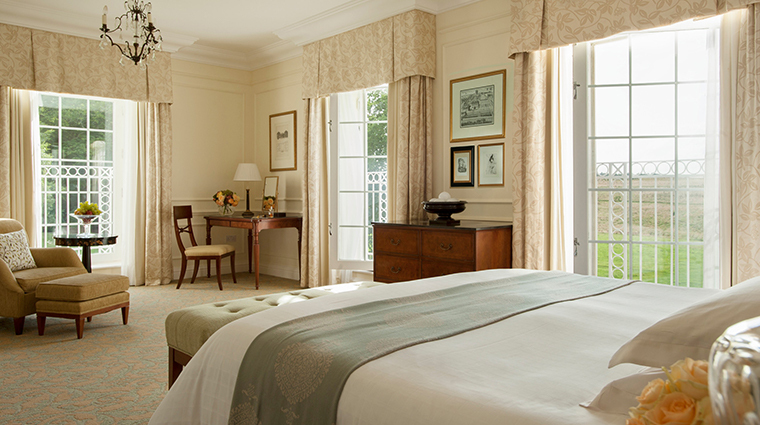 The standard guest rooms vary from the Mews Room to the Grand Manor Room, and while each has its own color scheme, they all incorporate king beds, quintessentially English furnishings (including hanging portraits), well-defined seating and working areas, and fine estate views. 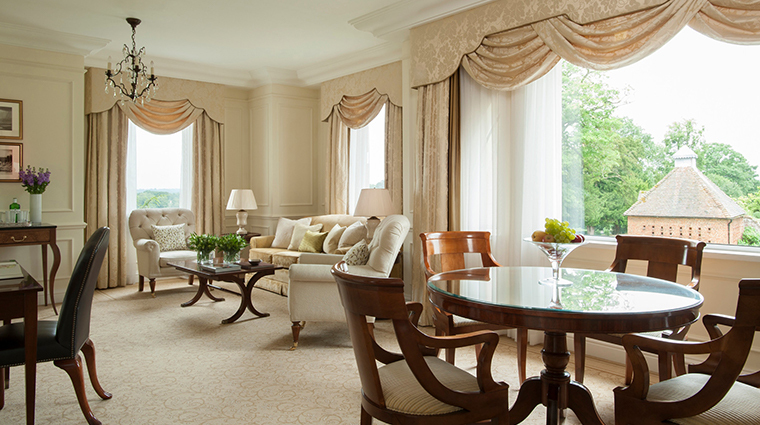 For a truly spectacular stay, reserve the Royal Suite. Ideal for families, this recently redesigned two-bedroom suite covers an enormous 2,420 square feet and includes two king beds, a fully-furnished living room featuring an eclectic collection of contemporary artwork, a dining room (hosting up to eight people), two full marble bathrooms and a large private terrace complete with cast-iron fire pits offering views over the estate. 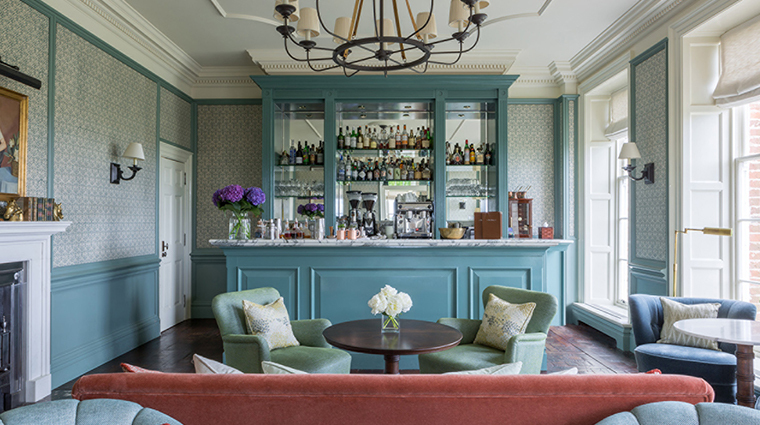 Whichever option you choose at the Hampshire hotel, expect an elegant blend of classical English style — all beiges, browns and deep reds — and flattering 21st-century mod cons. 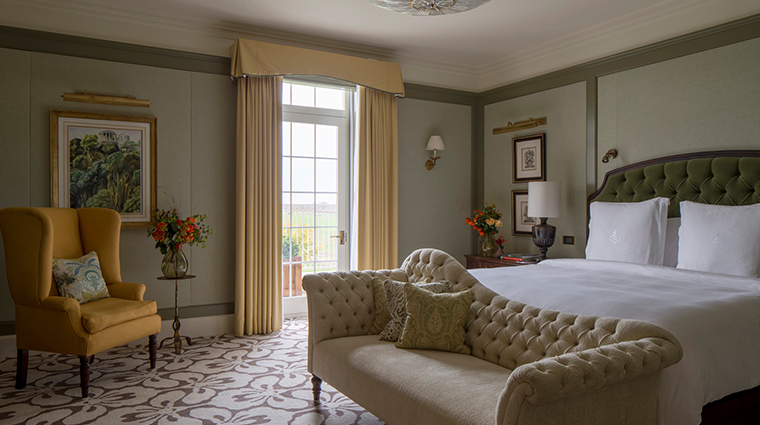 The beds in Four Seasons Hotel Hampshire are specially — and exclusively — designed to offer the ultimate in comfort and support. Known as Sealy Beds, the mattresses and matching box-spring bases offer a firm but comfortable place to sleep, and are used in every single room throughout the hotel — from the basic Mews Room to the decadent Royal Suite. 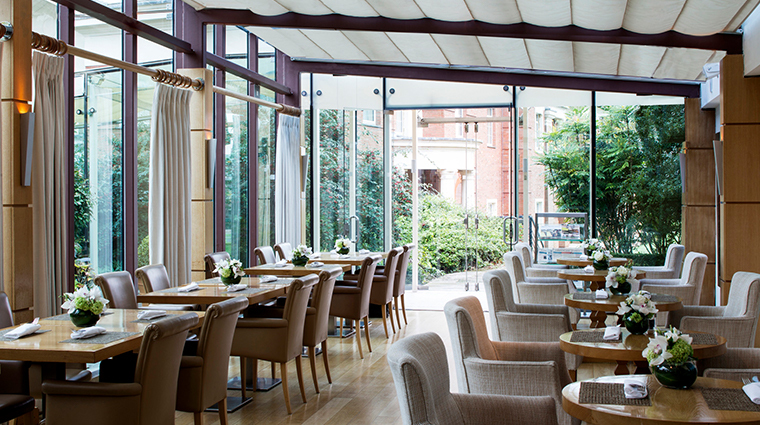 Experience local ingredients at the property’s restaurants thanks to executive chef Paolo Belloni’s commitment to regional items from nearby producers found in Hampshire markets and around the Home Counties. Wild Carrot, the hotel's flagship restaurant is the perfect place to start your day — and you can't beat the Hampshire Breakfast Buffet. The buffet includes a host of tasty items: baked goods, fruit, yogurts, cereals, cold meats and cheeses, plus hot dishes including eggs, back bacon, port sausage, hash browns, mushrooms and roast tomatoes. The perfect place for a light lunch, Café Santé offers up healthy-eating staples like salads, soups, pastas, rissoles and tempuras in a beautiful glass-sided setting. 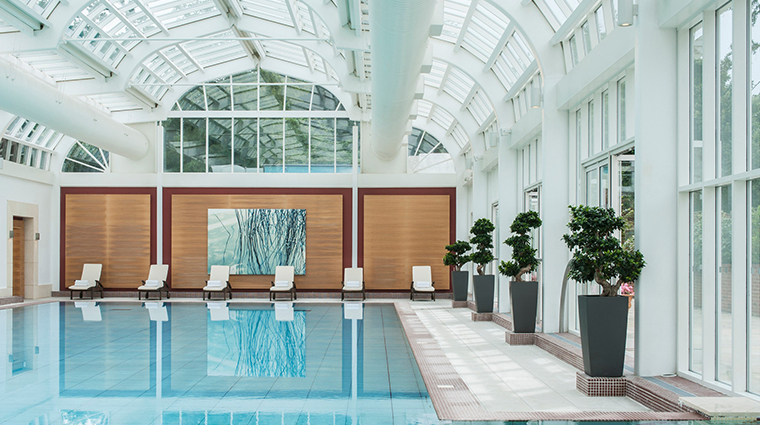 As it's right beside the spa, you'll also find a wide selection of herbal teas, coffee, power drinks and juices. Still hungry? 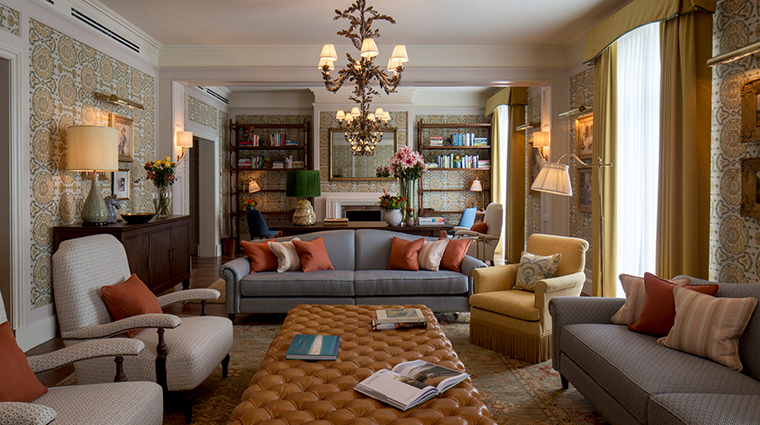 Then head to the luxury hotel’s Library for an afternoon tea of elegant finger sandwiches, homemade pastries, and, of course, freshly baked scones served with seasonal jam and Devonshire clotted cream. And when it comes to the tea, we recommend the Jubilee Brew — a mix of Ceylon and black tea created in 2012, and now the finest cuppa in Hampshire. The seasonally changing menu at Wild Carrot is always a good idea for a candlelit dinner featuring flavorful local fare. Dishes might include pea and mint soup, white asparagus and morel risotto, poached turbot with wild mushroom dashi, or a Himalayan salt dry-aged ribeye.